Enjoy the photos below and click on each image for a link to the BrickSeek entry. 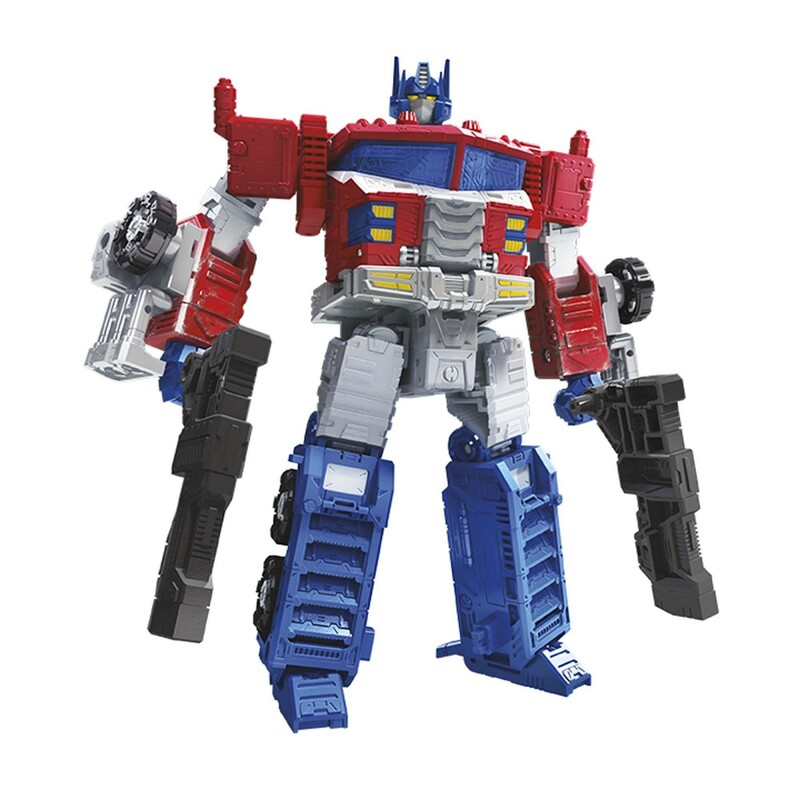 As a bonus we also have our first stock image of Leader Optimus Prime which has been designated as "WFC-S40 Galaxy Upgrade Optimus Prime" in the listing. You can see a video review for it here. This is surely just a preview of things to come as we move into Toy Fair this weekend! Hmmmmm Is that springer a new mold? I don't need another Springer but at least it's not an 84/85 character? Guess that one fan that didn't like the Roche Springer toy can be happy now. They're probably out there somewhere. Some day I might find these in the wild. Think the second one might be more realistic these days. Well this was unexpected if it turns out to be true. User Mr. Chaos on the TFW2005 forums has posted some new UPC codes for known figures from an anonymous source, but included was a new UPC for a figure that we haven't heard rumors of yet: Leader class Astrotrain. Now, obviously, this hasn't been confirmed by Hasbro so take this rumor with a grain of salt. We are heading into Toy Fair starting Friday so there's a possibility this figure may make an appearance at the event if it's true. Thanks to Seibertronian Autobot N for making us aware! Feel free to speculate away in the Energon Pub forums below! I love the Generations Springer. It’s fantaric. I’m really looking forward to this one too though. It looks straight out of the ‘86 Movie and with the way that Siege has been knocking them out of the park, I bet this will be a really good figure. 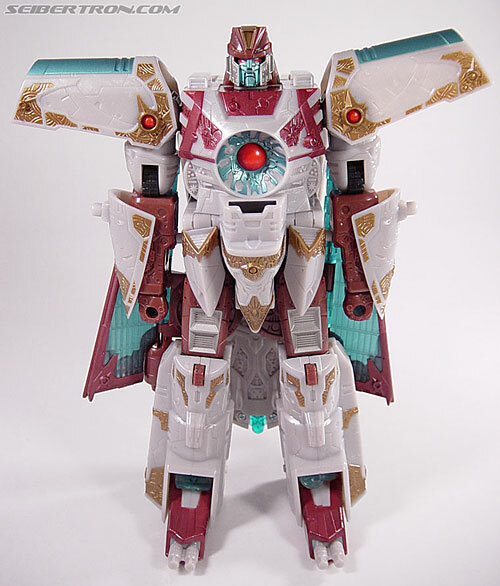 If I can just get all the triple changers in a consistent style, I guess I'll be happy. I'd rather see them ALSO be the same size class (which is why I have been hoping for Springer have a Titan Master), but whatever. I just want all six to match... If they're gonna re-do all the ones that were in Titans Return, then so be it. As long as they match. I’ll be keeping my T30 Springer, thank you very much. That has got to be one of the greatest action figure toys I own. Blitzwing is bae wrote: Hmmmmm Is that springer a new mold? I"ve got better things to do tonight than die! Budget constraints and shelf space mean I might not go for repaints where possible. Though red alert and thundercracker do look the part. Even hough I enjoyed the previous springer and sandstorm figures, it did have some issues with stiffness (i’ll Probably need a pen knife to move some panels next time I transform them). Also some of the proportions didn’t feel right. Can’t wait for more pix if this guy’s other modes to see how he stacks up. Besides some obvious choices for characters like the usual suspects... eg megs and prime, they seem to be cherry picking bots which were already cybertronian... the seekers... jetfire... so where are bumblebee and wheeljack? Jazz too.. granted we’ve had our fair share but they’d be obvious picks. Also... the 3 autobot targetmasters... their vehicles were always cybertronian... they could fit them in... really want to complete that line up. Oh, there are the null rays. That other picture was definitely a cross-promotional shot though, meaning Wave 3 has another Blowpipe-type Targetmaster, I assume Caliburst? 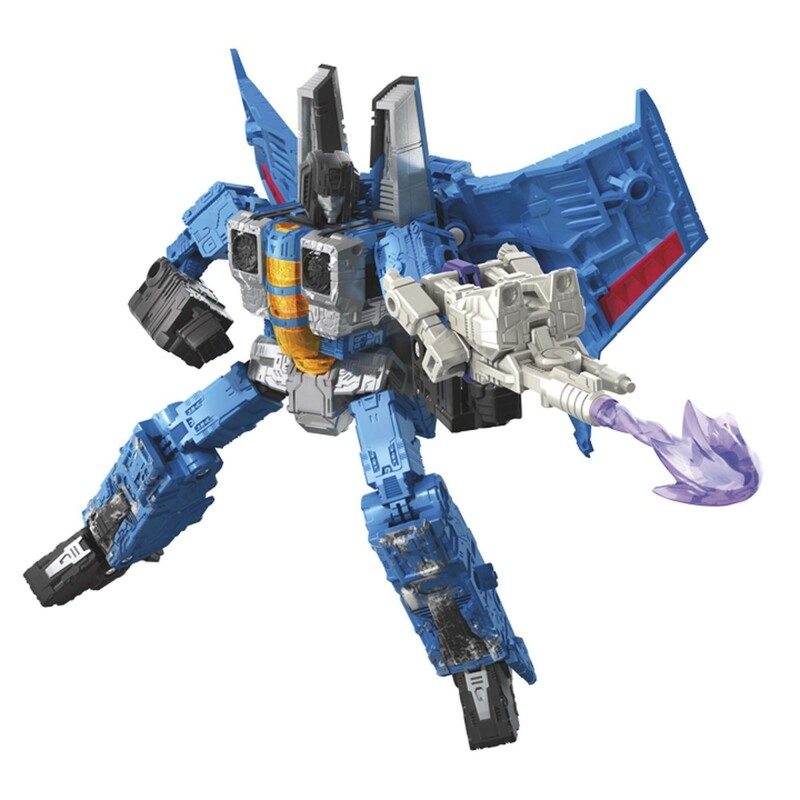 Regardless, Thundercracker still looks good, but I'm still going to wait. It actually greatly surprises me how much better Red Alert looks than Sideswipe. 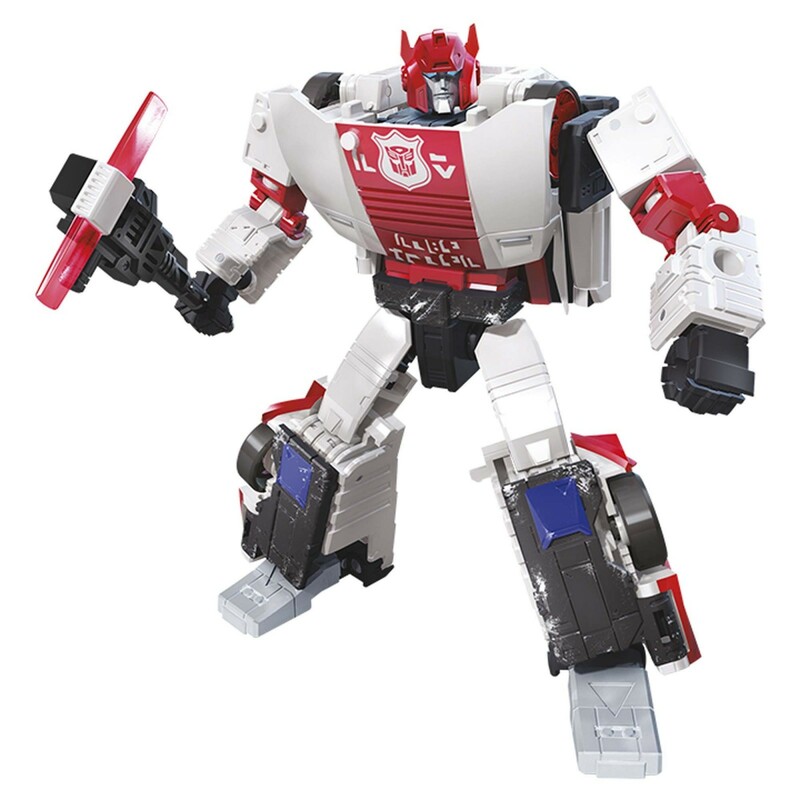 It was easy for me to pass on Sideswipe because of how basic that G1 design is and how boring Sideswipe looks, but this version of the mold looks way more appealing. I might actually grab him if he looks this good in person, wow. Apparently all it took was for them to give him an actually interesting color scheme and details other than just Everything Is Red. Also it looks like he has the same light bar piece as Prowl, but his gun seems to be new. This does give me at least slightly more hope for Barricade to actually be good (only slightly though). -It looks like they left his shoulder armor on his shoulders when they transformed him to alt mode rather than store it in the boots like reviewers have done, I wonder which is the official transformation? -Seeing the inner robot here in a clear shot has caused me to realize that to me, since my first Prime was the Unicron Trilogy one (my good old Bendy Prime, who's been my only Prime until this year), it looks/feels more right to me for Optimus Prime to have yellow eyes rather than blue eyes. Overall, very much looking forwards to what we'll see this weekend, and to most of these figures (sorry Springer). frogbat wrote: Budget constraints and shelf space mean I might not go for repaints where possible. Though red alert and thundercracker do look the part. I think we're gonna see another line full of Titan Masters (or whatever name they decide to give them) and we'll see the Autobot Targetmasters, (hopefully a Cyclonus to match TR Scourge,) Apeface, Snapdragon and Scorponok as the Titan. At least I hope so. If they don't have Head/Titan Masters, then that's YET ANOTHER "set" that doesn't match each other. Hm, Springer's actually appealing to me. Even I get him just as part of a small Marvel UK set. I still have the 30th thrilling one and it's nice but I've gone off it a tad and it doesn't really fit in my mostly movie collection anyways. I painted up a TR Hot Rod as a Marvel figure so this Springer might fit well with it. I agree with the comment that the Red Alert deco makes the boring Sideswipe mold look a bit more interesting. Does Springer have two swords now? His 30th and G1 toys had one sword made up of both rotor blades coming together. This one looks like you just use one blade to make a sword. Which is nice. Though again I question the practicality of using a key part of your alt-mode's mobility as a weapon that could get damaged or lost. But hey at least he's got his car mode as a back up. 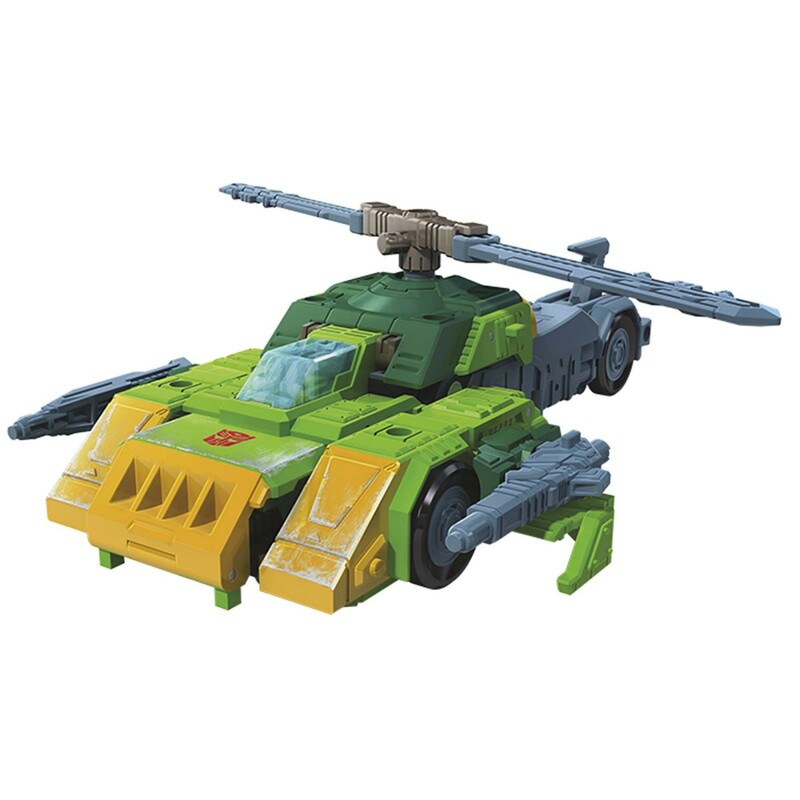 I kinda like how this Springer deals with something deco-wise that I've been thinking about since the leaked listing for him: were they gonna go with the toy-style yellow hood/chest, or cartoon-style green? Their solution is a nice blend: Keep the yellow, but relegate it to the very front of the hood/bottom of the chest so in robot mode it still largely matches the movie look in robot mode, but doesn't outright ditch the yellow there. 4,091 pages were recently viewed by 572 unique visitors. This page was viewed 1 times on Monday, April 22nd 2019 5:45am CDT. © 2019 Seibertron, Inc. DBA Seibertron.com. All Rights Reserved. Established June 2000. Seibertron.com is owned by Ryan Yzquierdo.